I try to live by what I blog. This is a good thing, because I had a conversation with my staff people, and it seems as if they read my blog as well. After the posts about chasing squirrels and focusing our contracting efforts, they wanted to know what we were doing to chase fewer squirrels and narrow our focus. Of course we do have a focus, and we talked a little about that. We also talked about how important it is to understand that your pipeline is more like a funnel than a pipeline, with a wide opening that’s full of squirrels. But not all of these are the irrelevant distractions Judy cautioned us against. You see, if all of your capture management projects are sequential, one after another, then the inevitable delays that occur in government contracting are going to leave you with lengthy gaps when there’s nothing you’re actively working on. 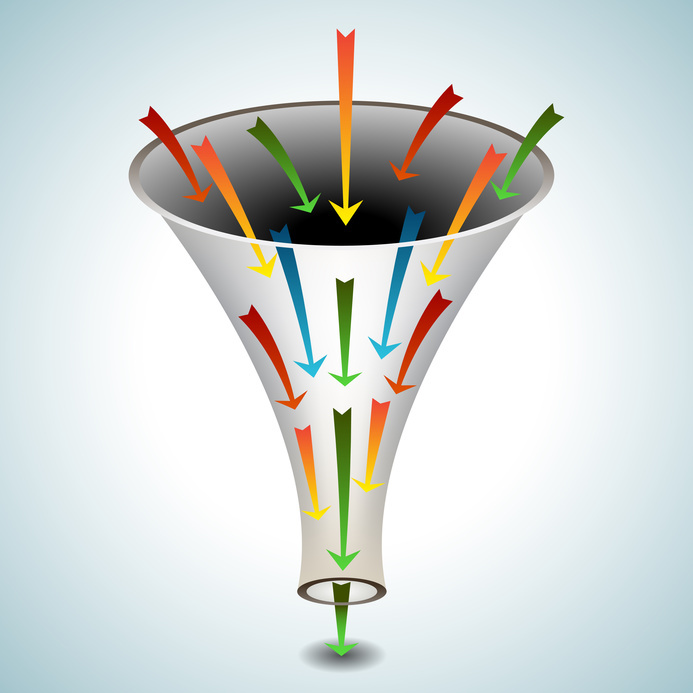 Ideally the top of your funnel will be populated with enough potential opportunities that are far enough away for you to do the appropriate capture work and development, and then lower down in your funnel you’ll reduce those to the ones you’re actually developing. The process by which you pare down those options is typically called a step review – where the business development people, the operations people, the technical solutions people, and maybe others all come together. “So we’ve got this squirrel,” they say, “Now how are we going to trap the dang thing?” Because that’s the key – we don’t want to be chasing after anything or anyone. We want to focus on getting the perfect customers to come to us. The step review represents a moment in time when you make a decision about whether to keep attempting to trap a squirrel, or stop. As you let go of some of these squirrels, your funnel gets down to the narrowest point where you’re actually writing and responding to a manageable number of proposals. That’s when you apply the capture management and relationship building strategies we discuss on this blog. Do we know the customer, the actual customer, the person with the money? Does the customer know us? Do we have a solution for the customer’s true problem? A corollary fourth question might be: Is the customer willing to look at new solutions? More information will be required as you get closer to the actual RFP, but if you can answer these questions in the affirmative, that’s a successful step review and you can move this squirrel down the funnel. The ultimate goal of the step review process is to leave with fewer total opportunities that we’re chasing.